Press / News Quickest Street Car in the World! Larry Larson does it again… While this year’s Drag Week was a much different experience for the 5x Champion, it did not stop Larson from turning Drag Week on its head and grabbing the headlines once again. Larry broke the record by more than two tenths for the quickest Street Car in world by going a 6.16 @ 219 MPH in his all-new 1988 Chevy S-10. While Larry may not have achieved his goal of a 6th Unlimited Drag Week Championship, no one can argue with his success this year. 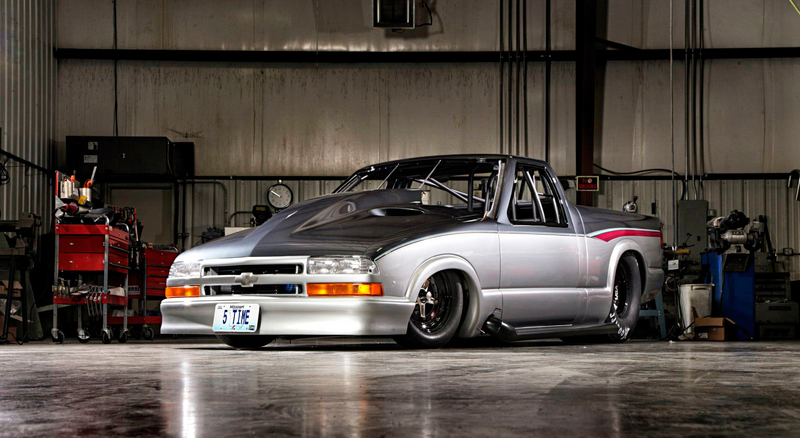 For more coverage of Drag Week 2014 and more from Larry and his incredible s-10, follow the links below.